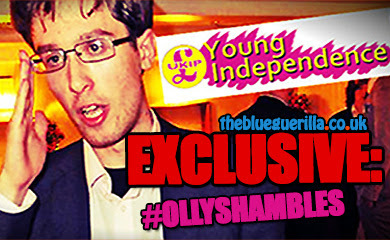 TheBlueGuerilla: Deighton set to quit Tory Youth Leader race. tbg can tonight reveal that Conservative Future Chairman hopeful James Deighton is rumoured to be bowing out of the race to secure the top job at CF. The current Best Practice Officer on the Tory Youth National Executive hasn't made much headway since his announcement to stand. One CF'er told tbg - "Last week I heard from one of Deighton's people that he's considering pulling out of the race. He's either scared he'll lose or he's been victim to bullying by the same slate other candidates have suffered from." The rumour comes on the day that allegations surfaced toward a slate harassing a candidate, labeled a "bullying campaign", in the Conservative Future National elections. 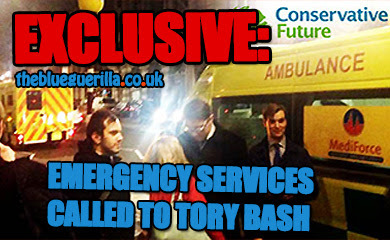 [READ] EXCLUSIVE: Tory Youth Chair' hopeful slams 'devious attack' against him. 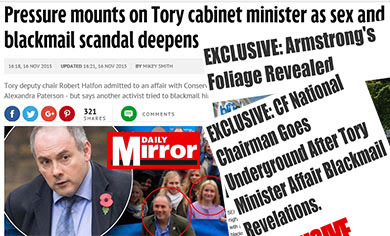 Robinson's slate still playing dirty while pretending to be innocent? This isn't news. I hope this is not true. Would be a shame. He's the most decent one of all of them. I can confirm that I am not pulling out of the race nor have I ever made the suggestion that I would. 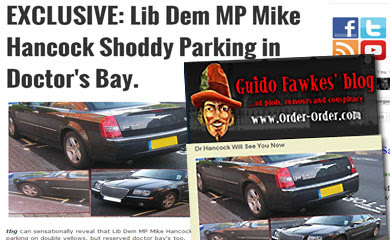 I expect smears and whispering campaigns’ verging on bullying but this is a pretty devious attack against me. I am quite a private person when it comes to discussing my family because quite frankly it has nothing to do with my political life. I have had to miss the hustings in South London this evening for the reason I posted on the group. I did not want to do so but my grandfather’s health has deteriorated and I was needed at home. Whoever fed you this story should be ashamed of themselves! If you are a CFer and a member of the party i would urge you to use your vote well and vote for Deighton. Having known him for a number of years, I have found him to be a committed Conservative, who has served CF well. If the other candidates have to resort to dirty tactics against one of our own, how can you trust them to look after YOU. I am not averse to dirty tactics, having used them a time or two myself, but never against a fellow Conservative. Yes its only politics you might say, however play the game right or get off the field. By the way I don't do anonymous. The cowards behind this should be ashamed of themselves.